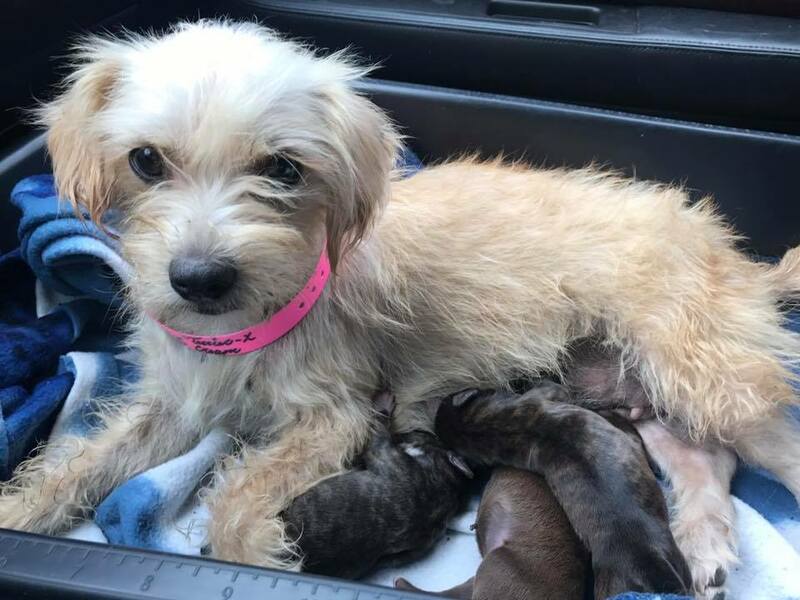 Poor little Sunshine and her 3 little newborn pups were turned in to a rural shelter in South Texas where few dogs make it out alive. 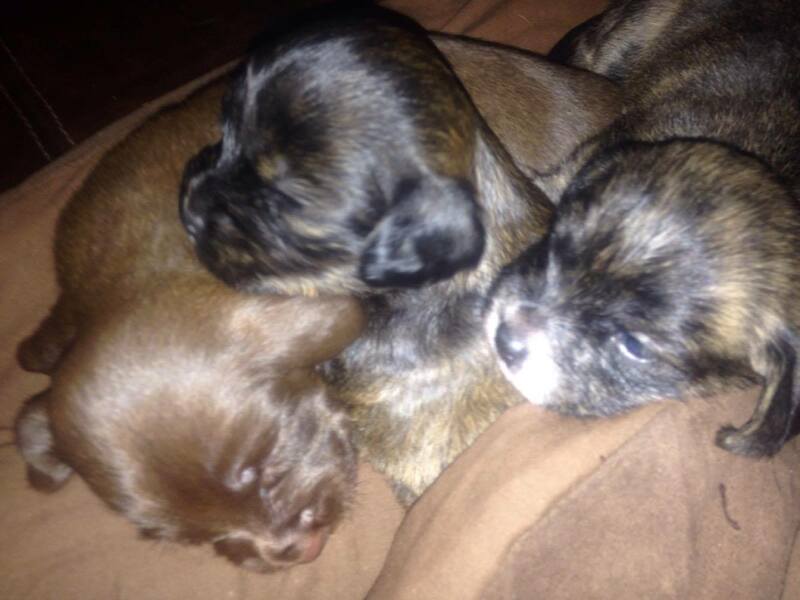 Her puppies where only a day or two old, and still had their umbilical cords attached. 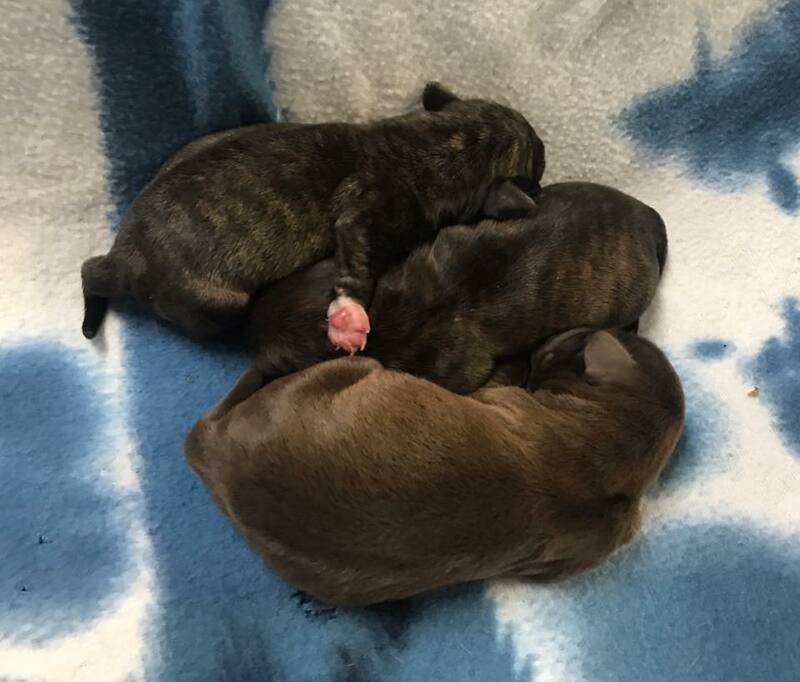 Thanks to the early intervention of a shelter volunteer, she was pulled aside before her puppies contacted the kennel floor where they would have been in serious danger of contagious disease. Eleventh Hour Rescues stepped up and found a foster for her in Texas. After her and her little pups were well enough to travel, they made their way to NJ and were all adopted out to great homes. 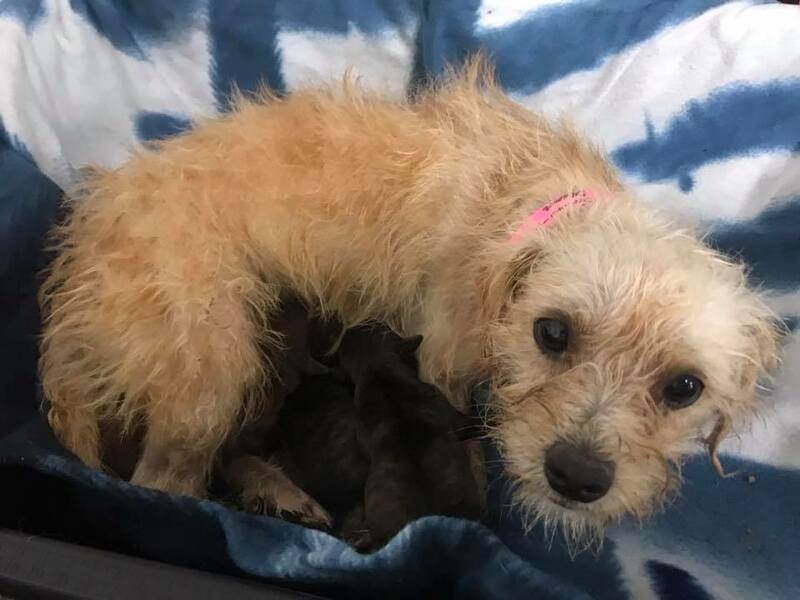 The Gemma Rose Project donated funds to help overcome all of the signifigant costs involved in vetting the puppies and nursing momma Sunshine, who had some serious skin issues, back to health.